One of the many benefits of having a home base in Southern California is access to endless galleries and museums like The Broad, The Getty Center, The Museum of Contemporary Art, The Hammer Museum and Hauser + Wirth Gallery all of which can always be counted upon to provide inspiration for our own sculpture work. We were particularly excited by two current exhibitions at the Los Angeles County Museum of Art (LACMA), which celebrate the spirit of artistic collaboration and the creative ways that art has been integrated into spaces outside of gallery walls. 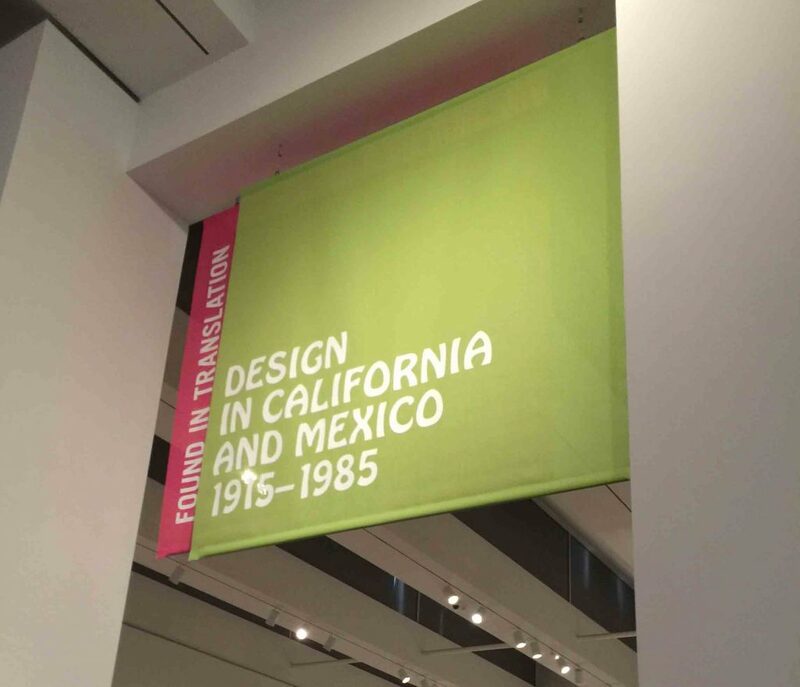 Found in Translation: Design in California and Mexico, 1915–1985 offers an in-depth look at the rich history of cultural exchange between Californian and Mexican designers and artists. This exhibit really struck a cord at our studio. The value of cross-cultural dialogues and collaboration is essential to Terra Sculpture’s practice: each of our contemporary abstract sculptures is created by the artistic team of Jennifer Gilbert Asher and Mario Lopez, who come from San Francisco and Guadalajara, respectively. 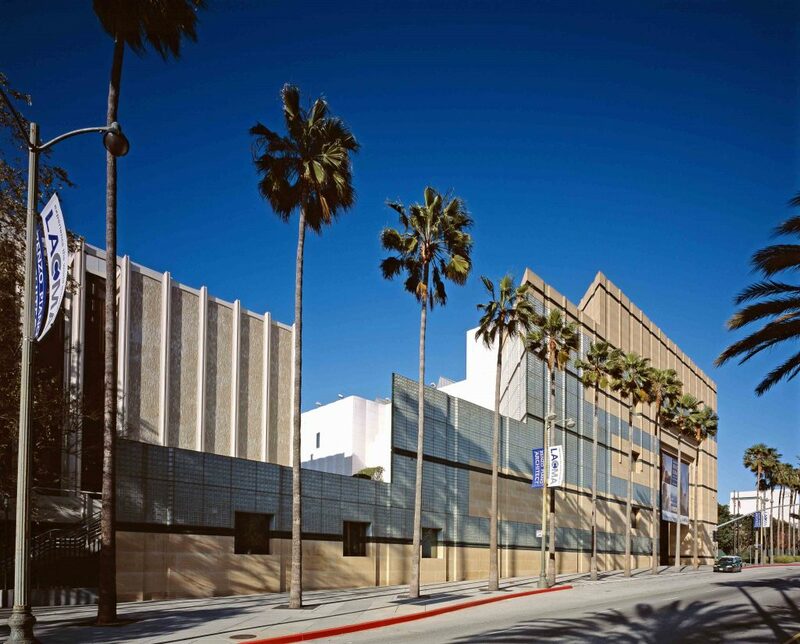 In addition to sculpture, the LACMA exhibition features a diverse array of objects, paintings, prints, furniture, textiles and crafts. Like many of the artists represented in the exhibition, Jennifer and Mario are inspired by the natural colors and textures of their surrounding environments and are greatly influenced by the indoor-outdoor culture reflected in Mexican and California design and landscape architecture. A trained landscape designer, Jennifer is a self-taught sculptor and the principal designer of each sculpture, while Mario—a trained architect and metal artist—plays a major role in their realization and fabrication in their Los Angeles sculpture studio. The duo’s unique design dialogue results in a successful and stimulating creative partnership. 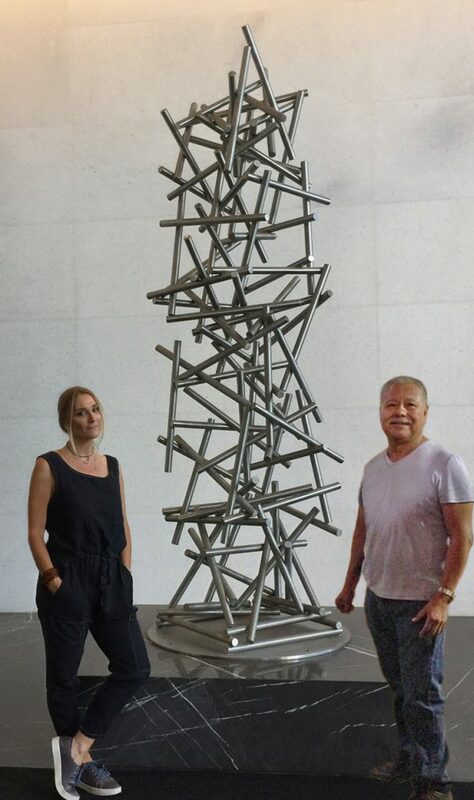 Artists Jennifer Gilbert and Mario Lopez of Terra Sculpture studio pictured in front of their stainless steel sculpture Gravity, in lower Manhattan. 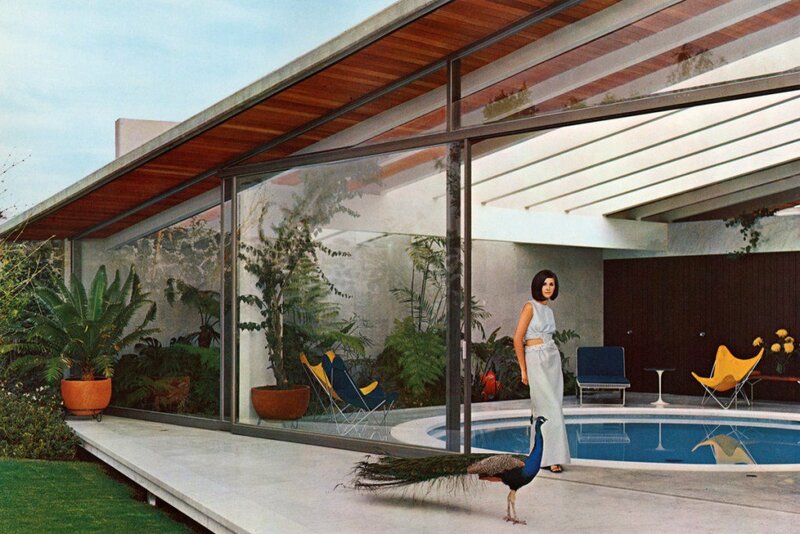 One area of collaboration between Californian and Mexican artists explored in Found in Translation at LACMA is modern architecture. Louis Kahn’s design for the Salk Institute for Biological Studies in La Jolla, California was inspired by the Mexican architect Luis Barragán’s dynamic buildings. 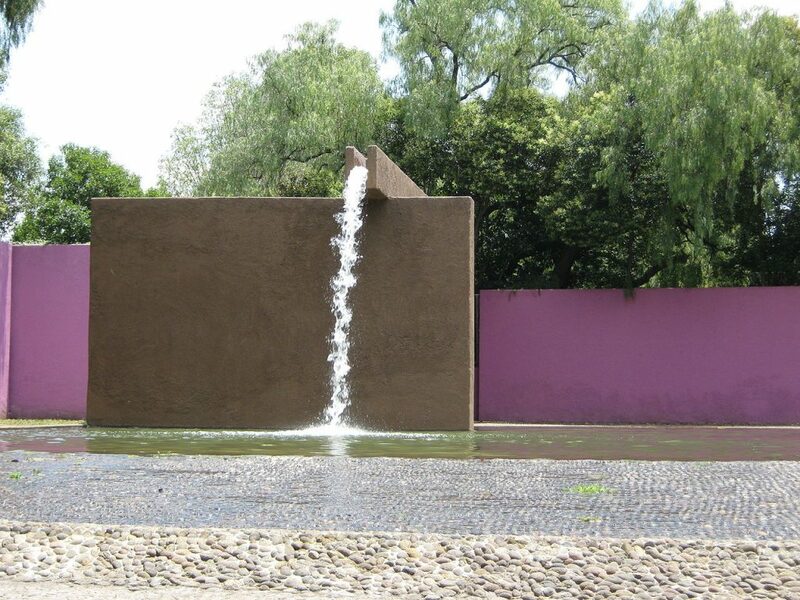 Barragán (who’s work also influences our minimalist sculpture) was hired as a consultant to collaborate with Kahn on the concept for the building’s impressive stone courtyard and fountains. 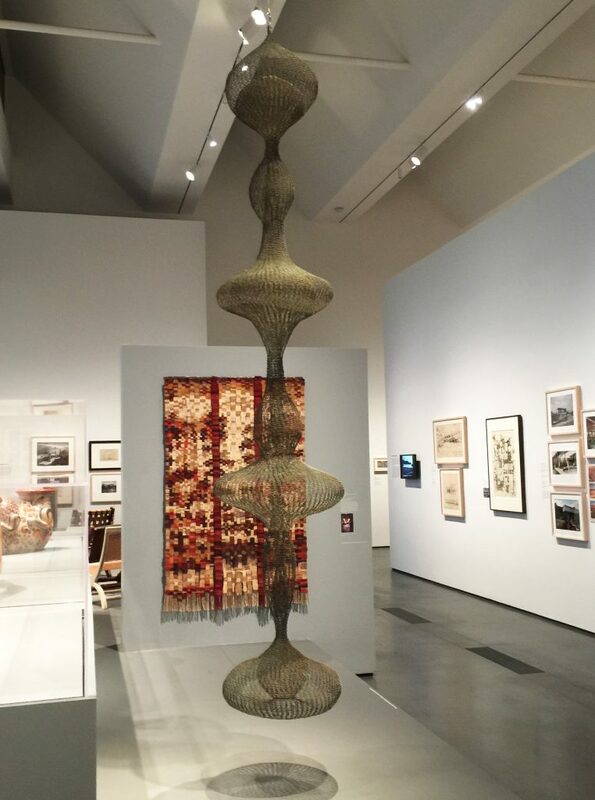 At the LACMA exhibit, we were thrilled to have the chance to see one of the delicate, suspended wire sculptures that Japanese-American artist Ruth Asawa is well-known for making. Asawa developed this technique during a visit to Mexico, where she saw villagers in Toluca using a similar method to craft baskets which greatly influenced her sculpture work. 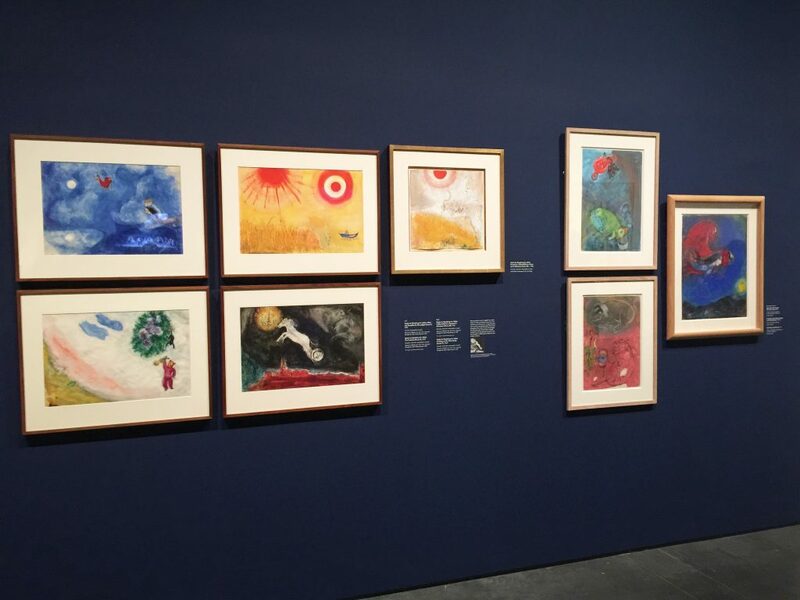 Another LACMA exhibition that really spoke to us was Chagall: Fantasies for the Stage. 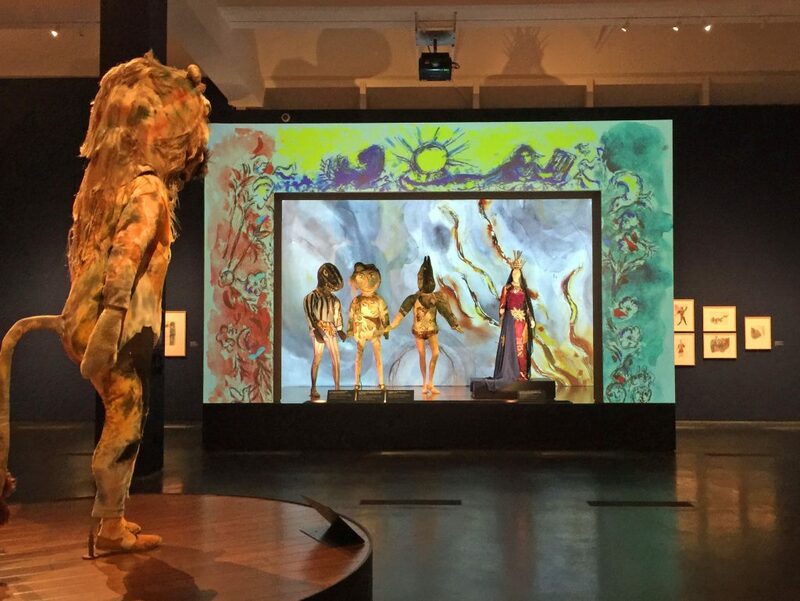 This extraordinary exhibit brought together a large number of colorful costumes and sketches that artist Marc Chagall designed for ballet and opera productions in the mid-twentieth century. 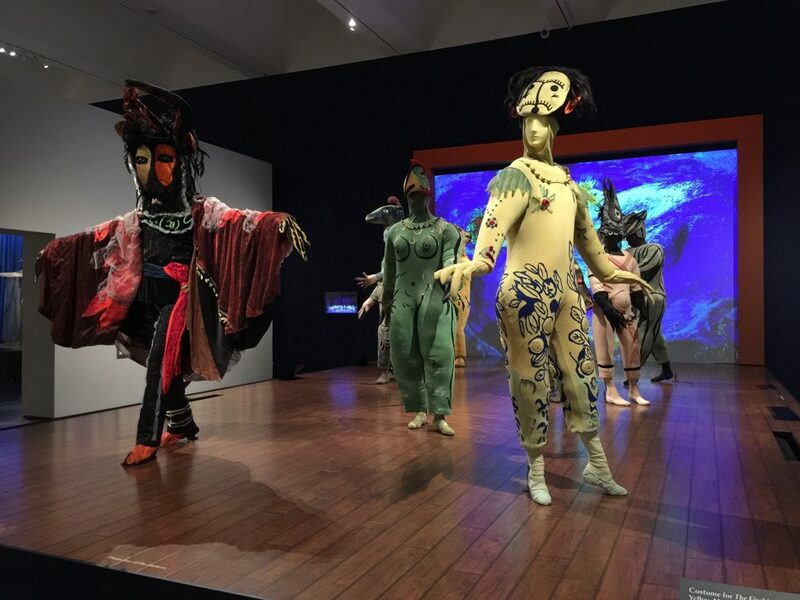 Chagall’s fantastical costumes seem more like sculptural works than articles of clothing (apparently the performers agreed, and admitted that they sometimes proved difficult to wear while dancing and singing). Chagall’s goal was to create a total experience of art, where audience members would become lost in the environment they saw onstage, almost as if in a dream. With these productions, Chagall’s art came vibrantly to life through the gestures and movements of the performers onstage. 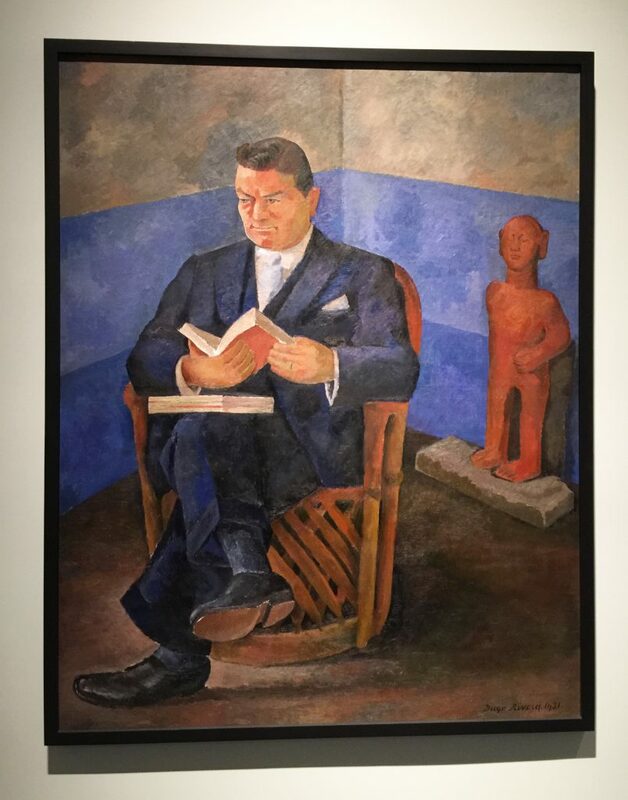 Collaboration and cross-cultural exchange was also very important to Chagall, who worked alongside a large number of local artisans in Mexico City, New York, and Paris while preparing his theatrical design. 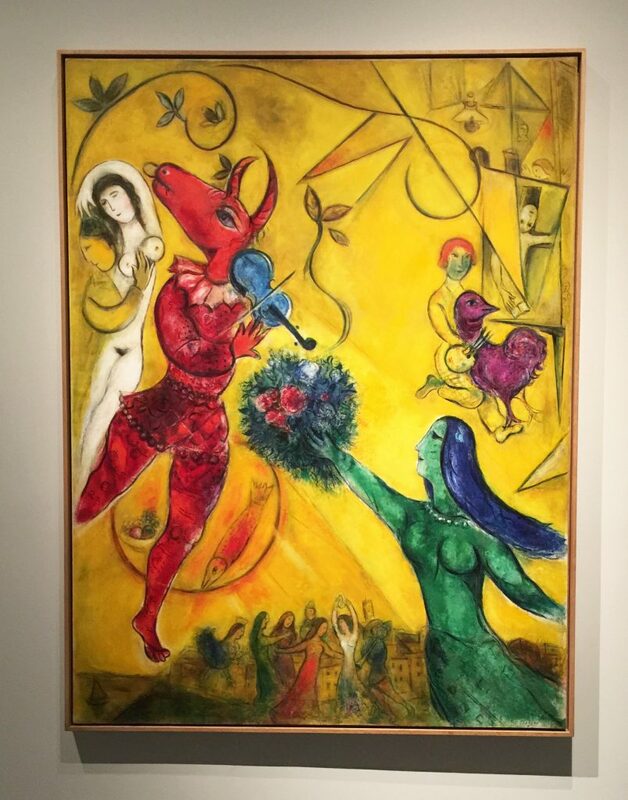 Paintings by Marc Chagall of his set designs for the ballet Aleko, which premiered in 1942 at the Pallacio de Bellas Artes in Mexico City and opened at the Metropolitan Opera House in New York City a month later, then performed at the Hollywood Bowl in Los Angeles. 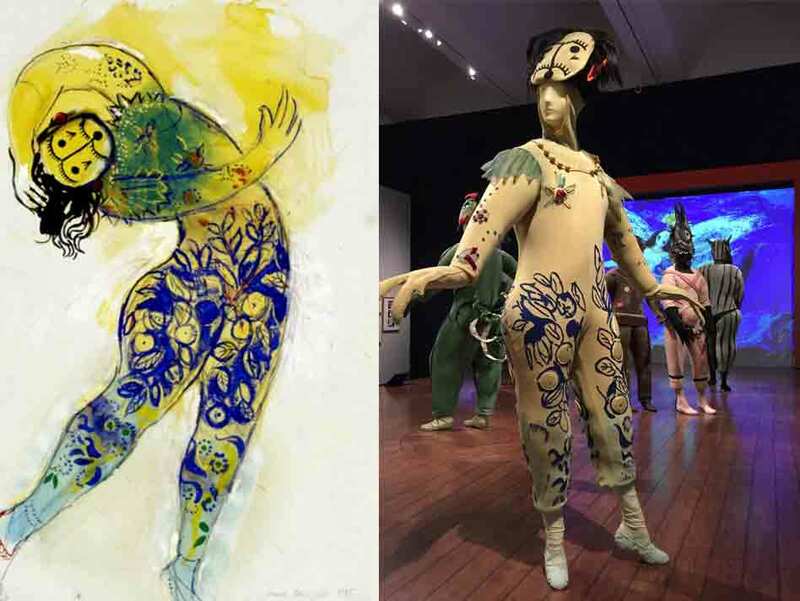 Marc Chagall’s costume design for The Firebird: Blue-and-Yellow Monster from Koschei’s Palace Guard, 1945. Sketch design on left, actual costume on right on view at LACMA. We are always thrilled to see artists who push the boundaries of how art can be experienced, and believe that design projects in particular encourage us to appreciate the beauty and intention all around us, whether it is to be found in the curvature of a building’s walls, the organic shape of a fountain, or the colors in a costume. While many exhibitions focus on the singular vision of an individual artist, these two shows illustrate the exciting potential of collaborative relationships between artists, designers, fabricators, performers, and all other art appreciators. 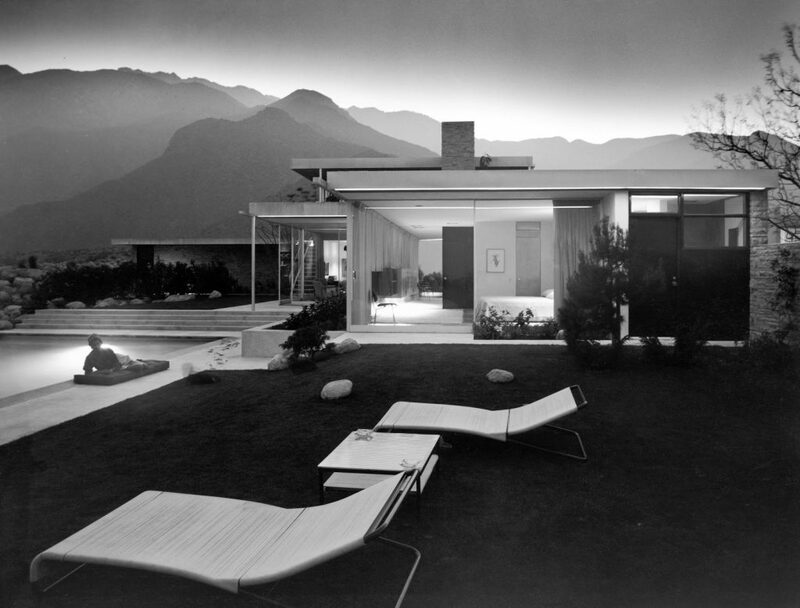 It is in this spirit that Terra Sculpture works closely with architects, designers, homeowners, and collectors who are passionate and knowledgable about modern art and design. We look forward to more opportunities to find inspiration in the work of artists and designers who have paved the way with original, engaging projects! Marc Chagall’s The Dance, oil on canvas, 1950-52, one of two large murals commissioned for the Watergate Theater in London. 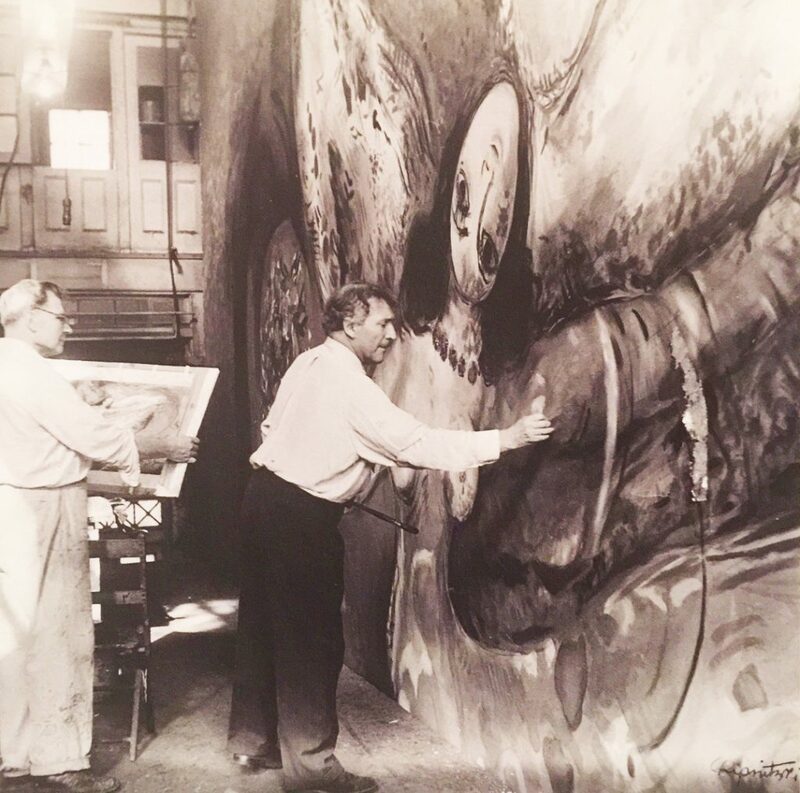 Marc Chagall working on a stage curtain for The Firebird, New York, 1945 on view at LACMA. © 2017 Terra Sculpture. All Rights Reserved.